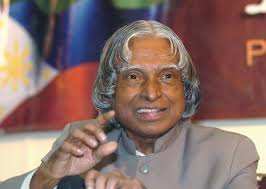 I just hear a shocking news on many news channels that former Indian President APJ Abdul Kalam Dies at 84. He was one of the most popular Indian Presidents and till his death, he was inspiring Indian youth to achieve new heights in life. He was in Shillong to give a lecture to the students of IIM. He collapsed while delivering the lecture and immediately rushed to hospital where he died. As per the available reports, he suffered a major cardiac attack. I was just becoming normal after the shockful incidence of terrorist attack in the Denanagar town of Punjab and this news came forward. He served as the President of India from 2002 to 2007. He was also known as the missile-man because of his extraordinary work for Indian missile system. Has Terrorism been Back in Punjab (India)?